Colonial homes have been around for centuries, but the style will never cease to be classic and appealing! The designs have a great way of looking timeless, but they're a perfect representation of the rich architectural history of the United States. You might think that colonial homes are huge, but they definitely don't have to be! 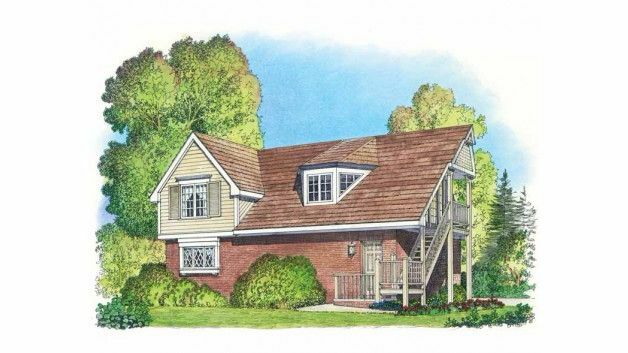 The following floor plans manage to take all the charm of traditional colonial homes and shrink it down to the perfect, tiny size. 1. 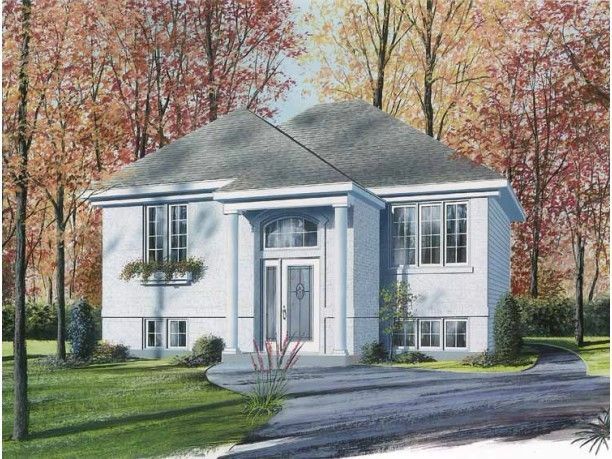 Elegant home with columned front entry from ePlans. 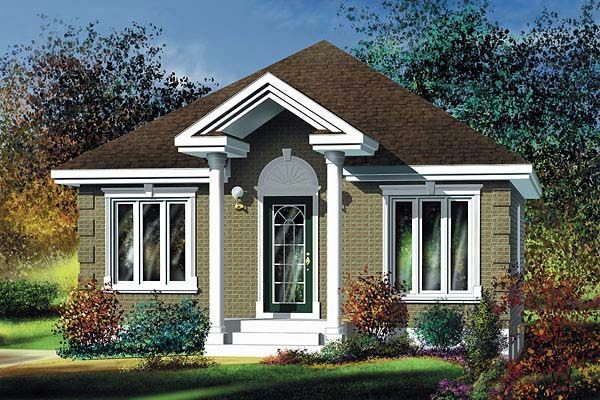 This home from ePlans measures 878 square feet (82 square meters), and features charming exterior details like paned windows and a columned front entry. The front door opens into a small foyer with a closet, and a small flight of stairs leads up to the living room. The dining room and a U-shaped kitchen are located at the back of the home. 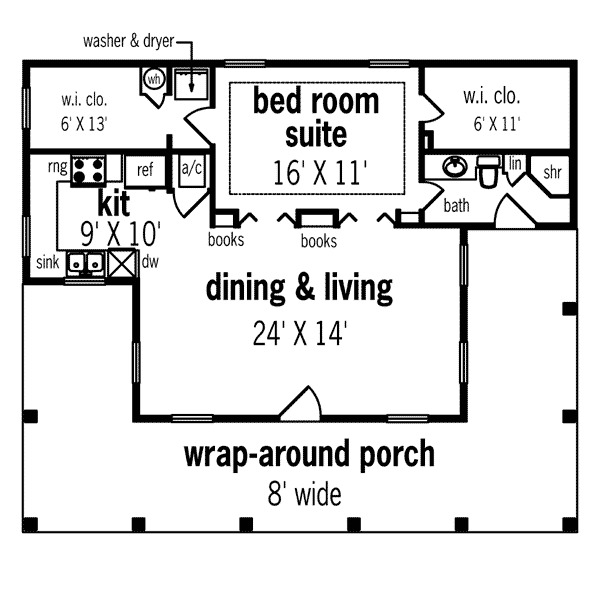 The private living space takes up the left-hand side of the home and includes two bedrooms and a bathroom with a tub. 2. 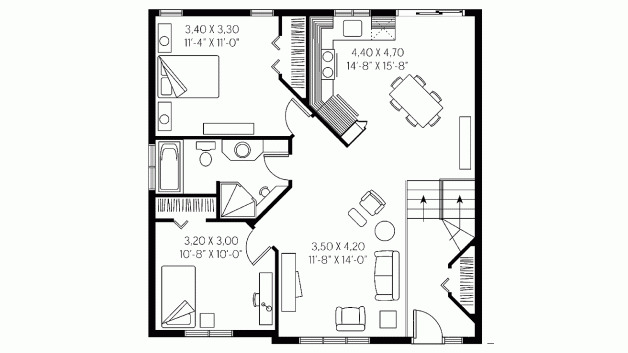 Two-bedroom colonial revival from Floorplans. Measuring 923 square feet (86 square meters), this elegant little home from Floorplans has a columned front entry and plenty of large windows. Just inside the front door, a few stairs in the foyer lead up to the main living area. The living room is off to the left of these stairs, while a country-style eat-in kitchen is straight ahead. 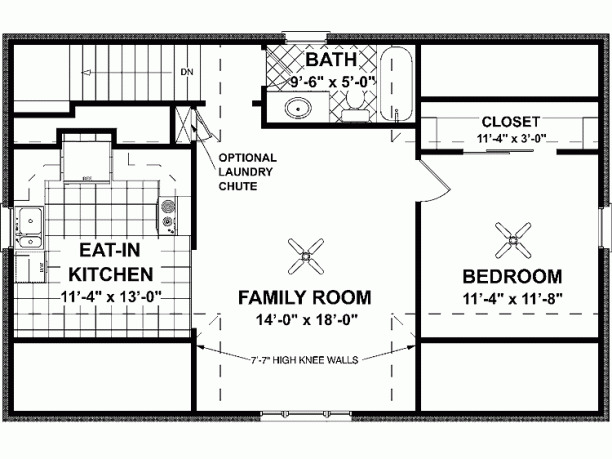 On the left of the home, two bedrooms share access to a bathroom that features both a shower and a tub. 3. 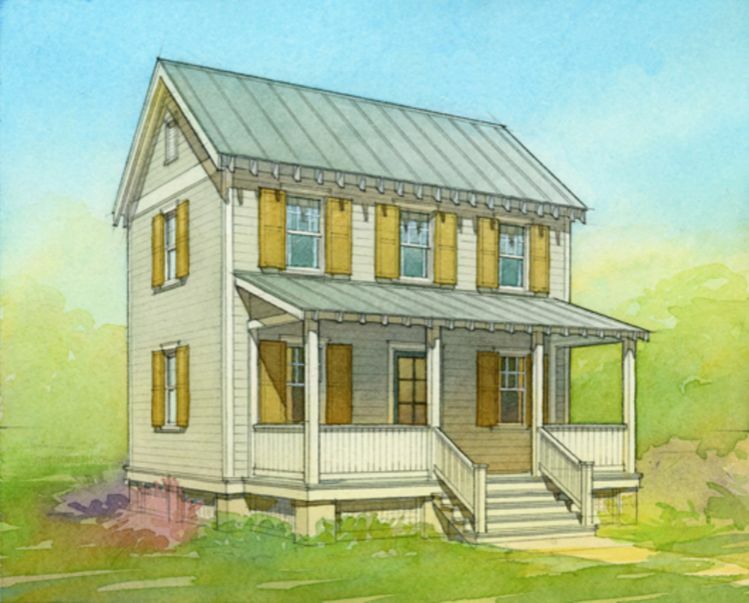 Southern-style home with wraparound porch from Family Home Plans. 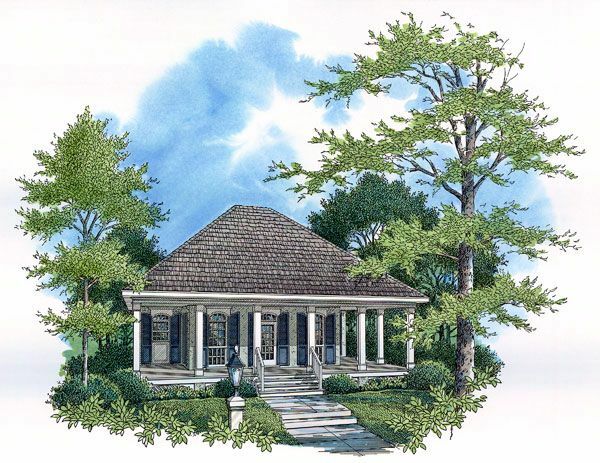 Coming in at 848 square feet (79 square meters), this design from Family Home Plans features luxurious touches like a columned wraparound porch and two large walk-in closets in the master bedroom. The front door opens up into the open concept living and dining room, which has built-in bookshelves between the doors on the back wall. 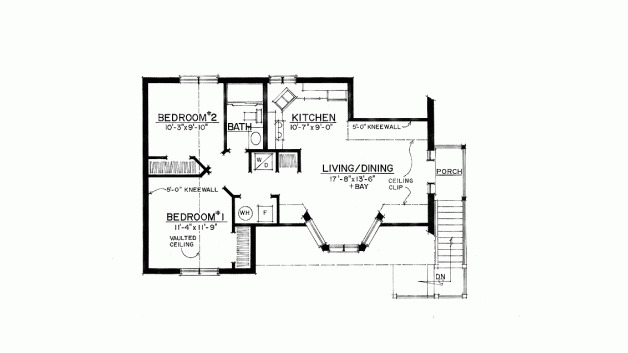 A U-shaped kitchen is off to the left of this main living space, while a bathroom with a shower and a linen closet is on the right. 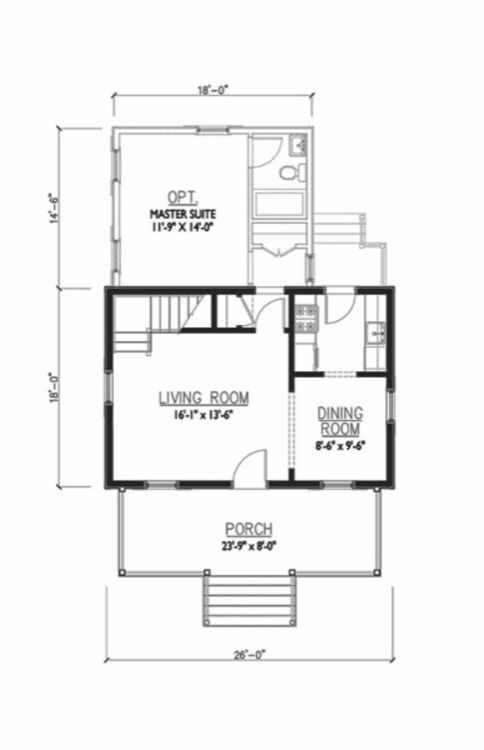 The large master suite takes up the back portion of the home. 4. 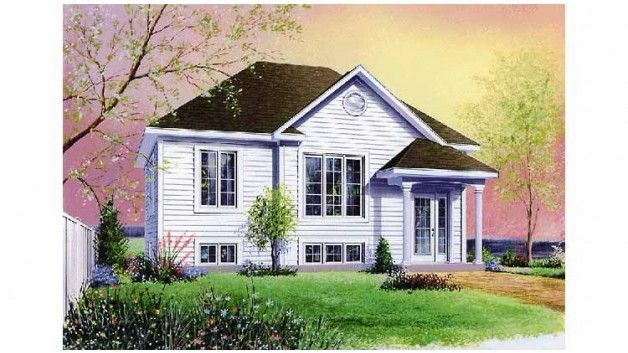 Two story cottage from Houseplans. This two story design from Houseplans comes in at 936 square feet (87 square meters) and has plenty of room for a family. Enter the home through the door on the large front porch, and find yourself in the living room. The dining room is off to the right, and it provides access to the kitchen behind it. 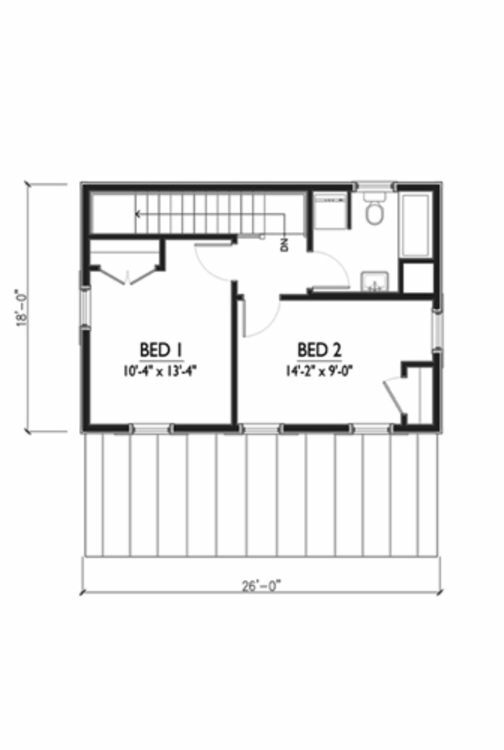 Upstairs, the two bedrooms share access to a bathroom that has both a tub and a shower. 5. 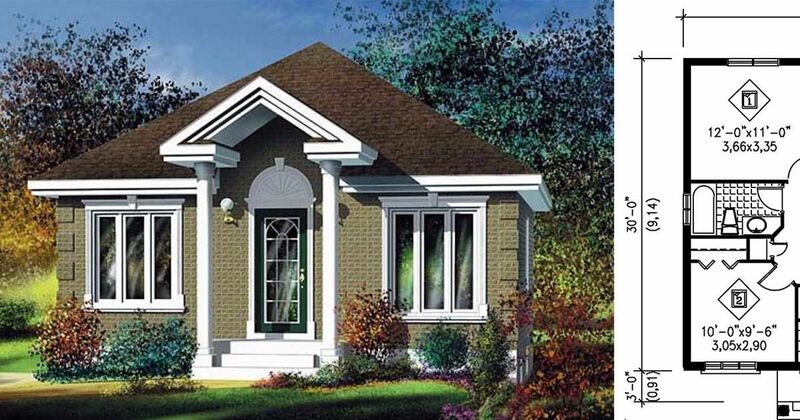 Charming two bedroom home from Family Home Plans. 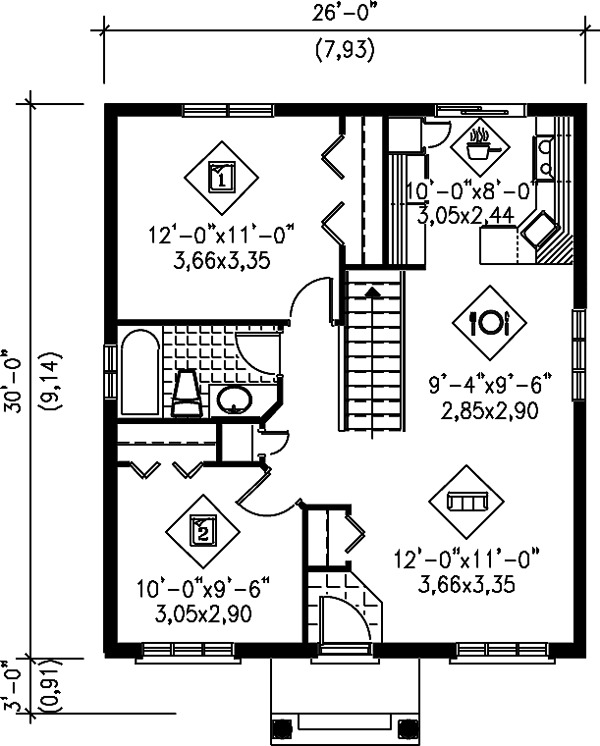 Measuring 780 square feet (72 square meters), this design from Family Home Plans has two bedrooms and plenty of curb appeal. The front door opens into a small tiled area with a closet, and an open concept dining room, kitchen, and living room is on the right-hand side of the home. Off to the left, a small hallway leads to two bedrooms, a bathroom, and a linen closet. 6. 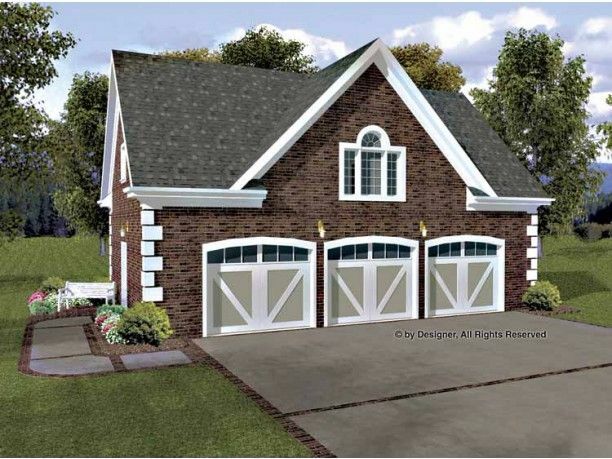 Cape Cod home over three car garage from Floorplans. 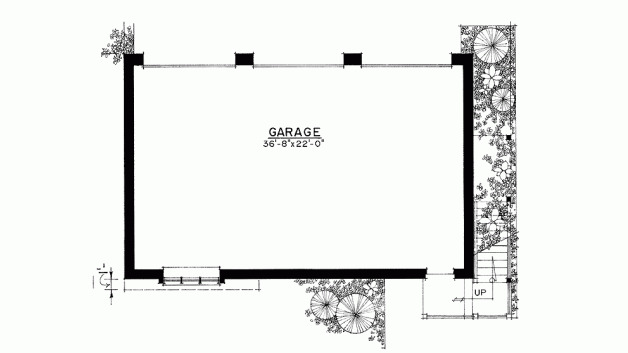 Coming in at 797 square feet (74 square meters), this home from Floorplans is located over a three car garage. An exterior flight of stairs leads up to a small covered porch, which opens into the open concept living and dining room. A large bay window fills this room with natural light, and an L-shaped kitchen is found off to the back. 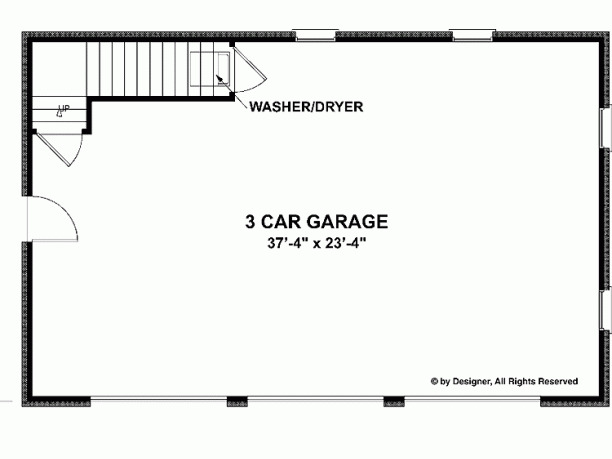 A small hallway off the living room leads to a laundry area, a bathroom, and two bedrooms with vaulted ceilings. 7. 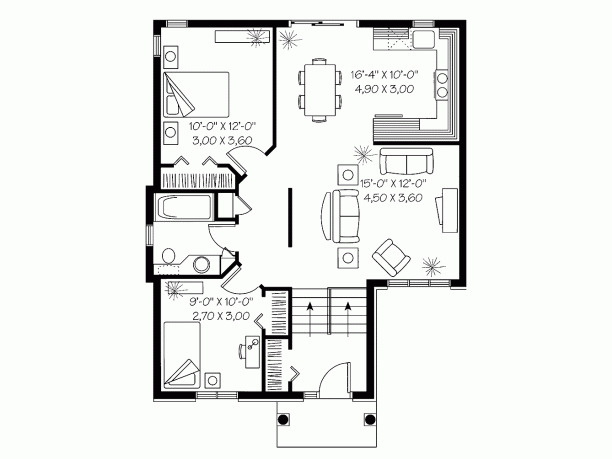 One bedroom carriage home from ePlans. This carriage home from ePlans measures 750 square feet (70 square meters), and features an efficient layout that wastes no space. A flight of stairs leads from the garage up into the large family room, which features an optional laundry chute. An eat-in kitchen is found off to the left, while the bedroom is off to the right. A bathroom with a tub is located at the back of the house at the top of the stairs.